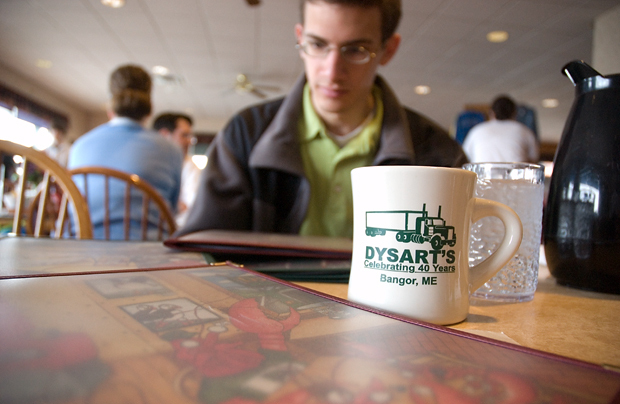 Matt Stone checking the menu at Dysart's Truckstop. Feed an Army? 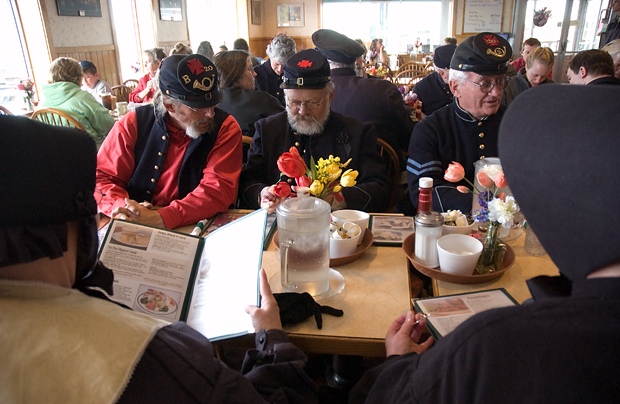 Dysart's is so good people from different eras come to sit at the tables and eat homemade corned beef hash and Maine blueberry pancakes. "Dave's Favorite" is my favorite. Sorting out the regimental seating. 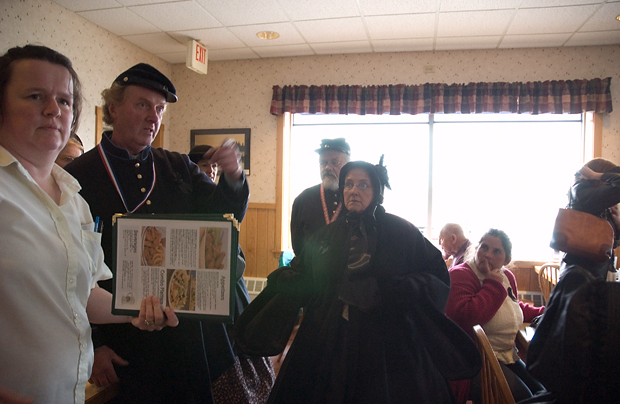 Today the 20th Maine has an easier time feeding and seating the regiment, easier at Dysart's than a barn or a family farmhouse. 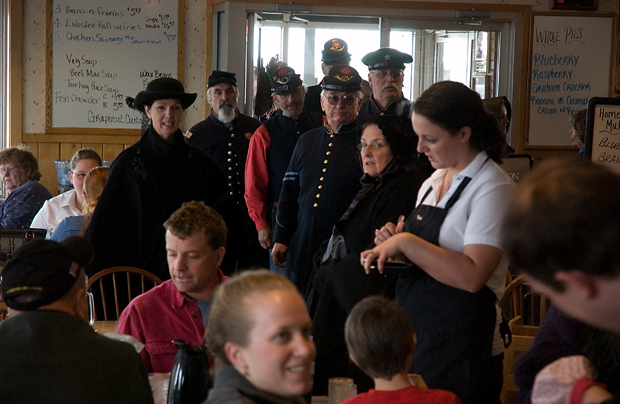 20th ME Co B The men and women of a Civil War reenactment company stop into Dysart's Truckstop to get a good meal after a funeral ceremony for a reenactor who spent her life portraying Chamberlain's mother, said Malta Lee Phelps of Joshua's Angels, the women's side of these hyper-real historians.